The North Atlantic Alliance supports Ukraine's aspirations for full membership in NATO. This was stated by the Secretary General of the Alliance Jens Stoltenberg in Brussels, reports European Truth. "Ukraine is a close partner of the Alliance, we support the Euro-Atlantic aspirations of Ukraine," he noted. At the same time, the Secretary General did not answer the question whether Ukraine is on the list of "aspiring nations", that is, states that declare their desire to gain full membership in the Alliance. As it was reported earlier the current security situation in eastern Ukraine remains the main reason for controversies between NATO and Russia. Jens Stoltenberg, NATO Secretary General said this at a briefing, which followed the Russia-NATO Council session in Brussels. ‘The conflict (in Donbas, - 112 International) still deeply influences security and stability of the European-Atlantic region; it also remains the key reason of the current state of relations between the Alliance and Russia. Improving the security conditions in eastern Ukraine remains the priority on the way to implementation of the Minsk agreement. 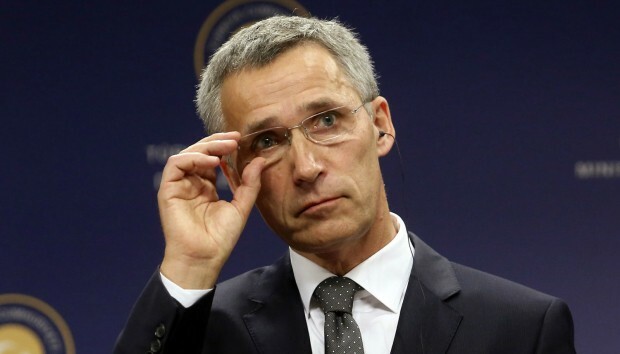 However, the security situation is fragile now, as ceasefire violations continue; heavy weaponry is still located in the close proximity to the engagement line,’ Stoltenberg said.